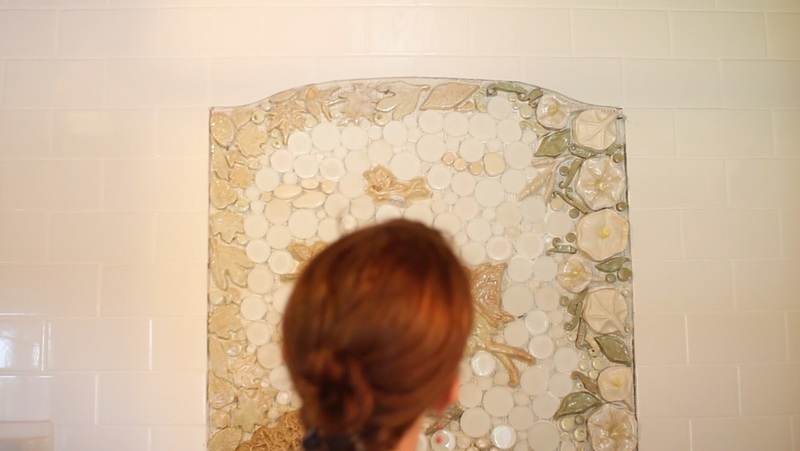 Installing A Custom Fairy Mural - New Tile Pieces! 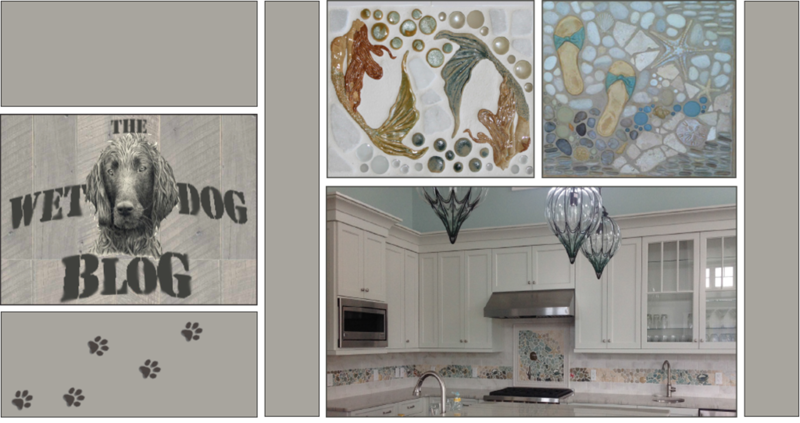 At Wet Dog Tile we have all the fun of creating the borders and murals we make, but not so often are we able to have the pleasure of grouting installing them ourselves. For the past couple months we have been taking bits and pieces of time to create a custom mural to showcase our new fairy pieces we'll be introducing to our line in the near future! Not only did we create it, but we were able to grout and install it ourselves as well. In this shot you're able to see an artist of ours laying the first section of the mural. Our murals are cut up into interlocking sections that will all blend together once everything is complete! More sections are put in place, as well as tiny nails to keep the mesh from sagging out of position before drying. Final touches are done to positioning before letting it dry. 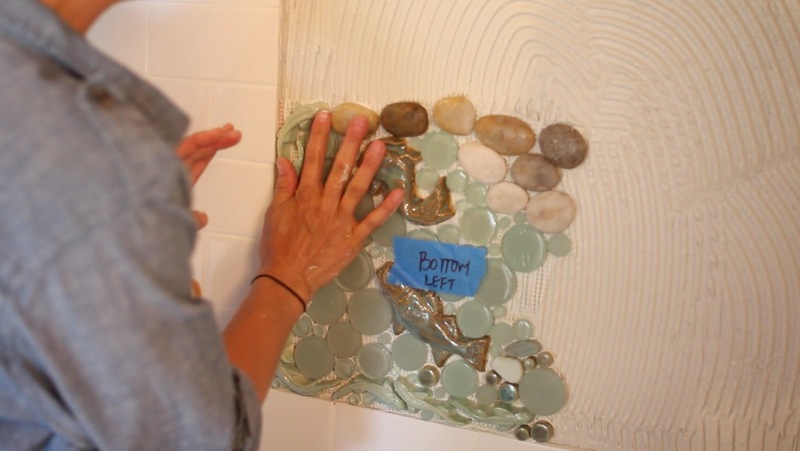 Once dry, we'll be able to start the grouting process! We know these stills don't give a lot away - that's the point! We're very excited to finish and share the video with everyone and we hope you are too. We will keep everyone updated and the video will be out before you know it! Have a great day!